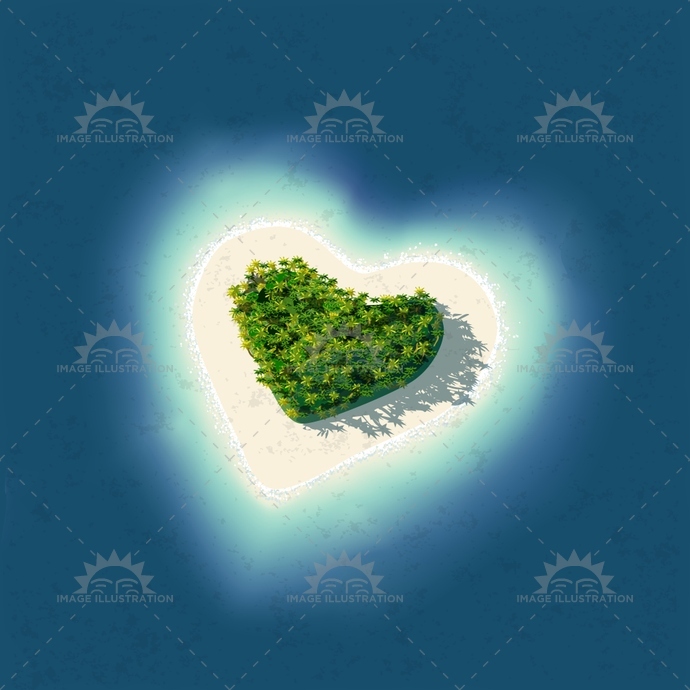 Stock product - detailed vector illustration - 2D Island Collection - Heart Tropical - created by Aurielaki. Image formats EPS AI JPG. Heart Shaped Tropical Island for romantic vacation or valentines. This illustration is saved in EPS AI JPG with color space in RGB. SKU: Heart-Tropical-Island-2D-AurielAki. Category: Wallpaper Background Set. Tags: background, beach, beautiful, dream, exotic, heart, honeymoon, isle, lagoon, landscape, love, oasis, ocean, palm, paradise, relax, resort, romantic, sea, summer, sunrise, surface, tourism, travel, trees, tropical, vacation, valentines, water, wave.